Bengaluru: The Doddabelavangala police is reported to have booked doctors attached to a government hospital and a district health officer in Bengaluru after a woman alleged that the doctors failed to give adequate treatment to her husband who was attacked by a swarm of bees. Police claimed that eight people were attacked by bees at Nallenahalli village, near Doddaballapur, 40km from Bengaluru. Ramaiah and another man, Hanumaiah, died; the other six are under treatment. Ramaiah’s wife, Vijayalakshmi alleged that they waited for more than two hours at the hospital in Kanasawadi village, near Doddaballapur, for a doctor to show up. but to no avail. The patient was eventually shifted to another hospital where he was declared brought dead. “The victims arrived at the hospital in a 108 ambulance within an hour of the attack,” police informed TOI. As per the complaint, the wife alleged that if the doctors provided timely treatment, her husband could have been saved, reports TOI. Police added that they are going to investigate the matter, in particular the allegation of absence of doctors from the hospital. 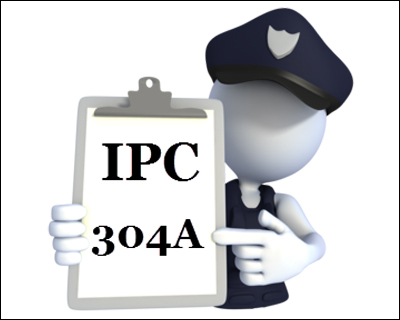 A case under section 304A of the IPC (death due to negligence) has been registered based on a complaint. Denying the absence of doctors at that moment, District health officer Dr Yogesh Gowda said that the victims were indeed advised to go to another hospital. Gowda said he would probe the case. A CASE OF JUDICIAL CORRUPTION by the JUDICIAL OFFICER OF ADDITIONAL SESSIONS COURT KOLLAM, V.
A clear case of ACTIVE CONNIVANCE OF THE COURT with the ACCUSED. 1. An act of INTENTIONAL omission of the fact, in the judgment, that there was no blood pressure and pulse at 11.15.A.M. Ampicillin injection was given at 11.A.M. and absence of blood pressure and pulse was at 11.15.A.M. This TEMPORAL RELATIONSHIP cannot be ignored or TRIVIALIZED by any court of law. 2. An act of intentional commission of TRIVIALIZING the evidentiary value of P-4 by stating that not all drugs are stated. 3.The postmortem was NOT done because cardiologist wanted to destroy evidence to save A-2 and A-1. 4.The contention that the deceased was an epileptic was only an illusion by the neurologist. This was based on the symptom of unconsciousness without incontinence of bladder or bowel as per the neurologist. There was no tongue or lip bites as per the neurologist. Family history of seizures, duration of unconsciousness, post-ictal confusion were not asked by the neurologist. This only symptom of unconsciousness\’s most common cause is vasovagal attack meaning blackouts after seeing blood or hearing bad-news. Hot climate can also cause vaso-vagal attack resulting in blackouts. E.C.G. is a must in cases of syncopal attacks,but was not taken by neurologist. Neurologist has deposed before sessions court kollam that he has NOT come across a case of death due to epilepsy. This mail is regarding the judgment of Additional Sessions Court Kollam V No: 1675/11. This is a medical negligence case. The judgment was on 30/12/2017. The case is, injection Ampicillin was given at 11.A.M. on 14/12/2004 without any indication to a 100 % normal person as per the in-patient case sheet Exhibit P-11,page-3 in the handwriting of A 2 (Dr.Girija who is the sole culprit in this case) who admitted Mrs.Lekshmi Santosh. This is the UNIQUENESS OF THE CASE. She developed dysponea meaning breathlessness, with blood pressure and pulse absent at 11.15.A.M.on the same day as per original case sheet Exhibit P-11, page- 4 in the handwriting of A 1 Dr.Ajit duty doctor . Hence this is a case of causa causans and not a case of causa sine quo non. The judgment is based on defense argument note and sequence of events provided by the defense. Absence of blood pressure and pulse at 11.15.A.M. is not mentioned in the judgment page no: 26. But dysponea (HALL MARK of anaphylactic reaction) is mentioned in page 25 last sentence and in page 26. Page 31 of the judgment says \” In Exhibit P-4, they (WHO ARE THE CULPRITS, NOT MENTIONED INTENTIONALLY BY THE COURT. In reality A-1 wrote the reference letter as advised by A-2. not mentioned) administered to Lekshmi Santosh. This negligence on the part of the Parabrahma authorities\”(DOCTOR WHO ADMITTED THE PATIENT OR THE ADMINISTRATOR OF THE HOSPITAL, IS NOT CLEAR FROM THE JUDGMENT)\”. Exhibit.P-4 is the reference letter which is silent about Ampicillin. A reference letter should be written like the format(reference.pdf) given below. Kindly go through page 54 of the attachment reference letter pdf (896K). The TRUMP CARD in this case is the reference letter Exhibit P-4 in which Ampicillin is not mentioned. Hence the evidentiary value of P-4 is not appreciated because of the lack of \”APPLICATION OF MIND\”. If the points in bold letters were mentioned clearly in the judgment the accused could not have been acquitted. The prosecution note by Asst. Prosecutor as per Cr.P.C. 302 is clear on these points. The charge was under I.P.C. 304 Part II. No prizes for guessing the reason for the lack of application of mind. There is no mention about Exhibit. P-4 in the defense argument note and also in the sequence of events because of the guilty mind of A-2 who prescribed Injection Ampicillin, the drug that killed the 24 year old lady. But the Sessions court could not ignore Exhibit P-4 because it would have come to the notice of the High Court, which in turn would have remanded the judgment to the sessions court. Hence the sessions court mis-appreciates the evidence intentionally to save the guilty by trivializing the reference letter. This is not a case of a conjecture meaning an opinion or conclusion formed on the basis of incomplete information. The surmise that enough evidence is absent is also wrong.This is a case of \”judicial terrorism\” to kill the most vital evidence that Ampicillin is the cause of death. There is no doubt regarding the cause of death and hence benefit of doubt does not arise. Post mortem report stating the cause of death is not clear is not an important finding since anaphylactic death will not show any signs in post mortem. Post mortem is done only to rule out trauma or poisoning being the cause of death. The forensic surgeon was not made a witness by the prosecution in this case. If so the forensic surgeon could have perused the in-patient case sheet which shows Ampicillin injection at 11.A.M. and dysponea meaning breathlessness(HALL MARK OF ANAPHYLACTIC REACTION) at 11.15.A.M. with no pulse and blood pressure. The victim(mother of the deceased) is 80 years old. She had by pass surgery 5 years back. Now she has post CABG unstable angina requiring angiogram and repeat by pass surgery. She is blind in the left eye due to diabetes. She is computer illiterate and financially challenged. The husband of the deceased is abroad. He is bank rolling the victim. She has filed CRAV 275/18. Kindly order the H.C. to take up the case for hearing at the earliest. I like to have an esteemed audience(one minute to show the certified copy of the reference letter(Exhibit P-4 is attached as reference letter, reference letter 2 and reference letter 3) written by A 1 at the instance of A 2 as mentioned in page- 1 of Exhibit-P-11 of the in-patient record) with you. This mail is from Dr.B.Ravi Kumar M.D. in general medicine, prosecution witness as directed by High Court of Kerala order no: 1394/13 by Justice P.Bhavadasan. In page no: 32 of the Additional Sessions Court V Kollam judgment I am being portrayed as a unreliable and interested witness. But the point I like to stress is that my deposition was based on documentary evidence and not on oral or ocular evidence. They are namely P-11(in-patient record), P-12 (out-patient record) and P-4(reference letter) and not based on oral or ocular evidence. Again the sessions court says about my version in the consumer forum. It was not signed by me, but countersigned by my erstwhile advocate who double crossed me. The point that the REFERENCE LETTER is not mentioned in the District consumer forum Kollam judgment is ample proof that my version is a falsified document. I have not deposed before the consumer forum Kollam because my erstwhile advocate discouraged me. Incidentally the consumer forum Kollam no: 36/2006 awarded 15 lakhs to be paid by the hospital, A-1 and A-2 on 24/12/2012. But the accused moved the Kerala State Forum nos: 88/2013(hospital) and 101/2013(A-1 and A-2). It is still pending. The defense argument was the cause of death is S.U.D.P. meaning sudden death due to epilepsy. There is no documented evidence(E.E.G. Normal) of a previous epileptic episode in the medical history of Mrs.Lekshmi Santosh. The first version of A-1 and A-2 in the consumer forum does not EVEN have a WHISPER about S.U.D.E.P. but says Ampicillin was given because the pain of renal colic was not subsiding. Ampicillin is NOT a pain killer but an antibiotic. The consumer forum Kollam judgment also does NOT mention S.U.D.E.P because that condition was not mentioned by anyone before the forum. Kindly go through the attachment neurologist is wrong. Kozhikote House, Sasthamangalam, Trivandrum-10 or temporary address, 9A3, Artec Kalyani, Opposite Tagore theater, Vazhutacaud, Trivandrum-14.